BRYAN EATON/Staff photo. 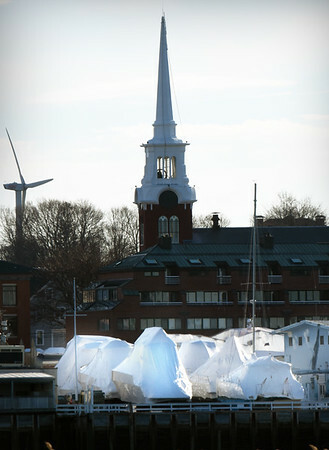 Afternoon sun shines on these boats covered with shrinkwrap on Newburyport's waterfront in a view from Salisbury. With temperatures in the 50's this week and March beginning on Thursday, it won't be long before the boats and docks get moved back into the Merrimack River.